Found one file extension association related to CLIP STUDIO PAINT and 1 file format developed specifically for use with CLIP STUDIO PAINT. Choose from pre-designed, editable word balloons or create your own. Enhance your drawings with the built-in color palette or create your own to add custom effects to your artwork. When you have finished your illustration or comic book, CLIP STUDIO PAINT 2D drawing software allows you to export to a wide variety of formats for print or web. 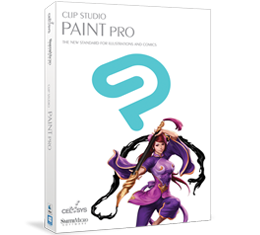 If you need more information please contact the developers of CLIP STUDIO PAINT (CELSYS), or check out their product website.